I’m all about spending time with friends and family. I’m always the guy who throws the BBQ or organizes camping trips with my buddies. Cruzin Cooler® came to life when Kevin, our founder, was at a NASCAR event dragging a cooler behind him. “There’s got to be a better way,” thought Kevin. Everyone was dragging a cooler around when the idea hit Kevin to add a motor to a cooler. Kevin started working to make everyone’s tailgate party a blast. The models, and there have been a lot, include ones with electric motors that can go 10 – 15 miles and 13 mph. Cruzin Cooler also offers pull models. Cruzin Cooler® started out as a dream that Kevin capitalized on. Now, our coolers are being ridden by Ellen – yes, that Ellen. 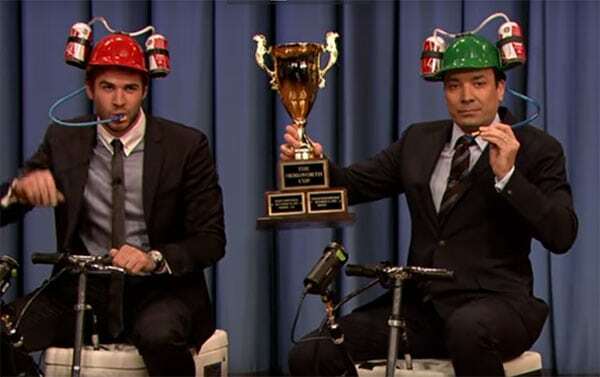 Jimmy Fallon is pretty cool, too. Cruzin Cooler® combines two basic necessities of life, the ability to have cold food or a beverage handy along with the means to get somewhere, without walking. 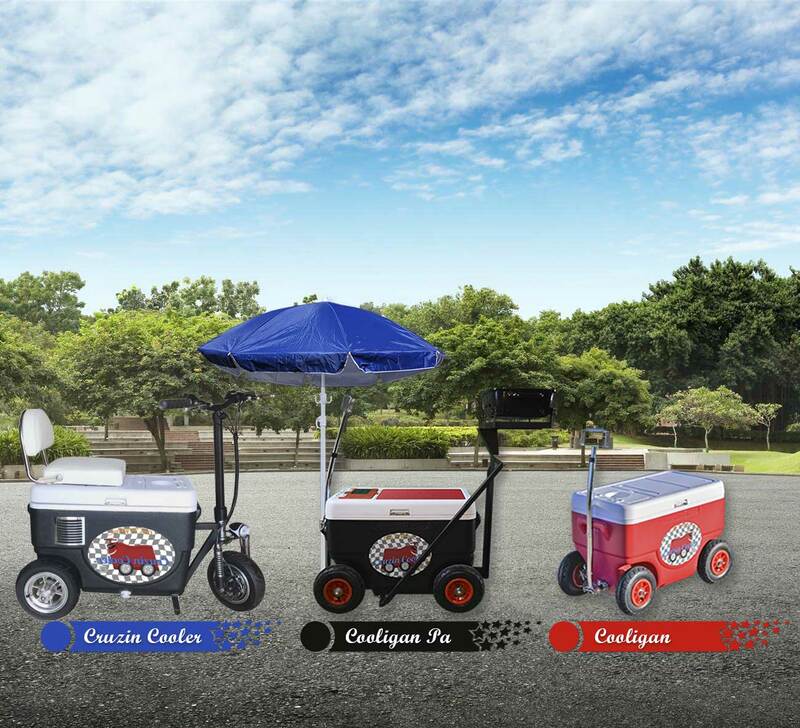 The Cruzin Cooler® is light-weight, comes in various sizes and colors and is available in electric models, with up to a 10 mile range on electric models. The cooler is light and small enough to fit in most trunks. The cooler can be used for hunting, sporting events, races, camping, golf or even a trip to the grocery store to keep your food cold all the way home. Marine use will be popular for the new cooler allowing you to take your fish/drinks/food/ ice to and from your boat with powered assistance and braking. Simply ride or power your way up and down ramps. Order you new cooler today! Click here to get started.